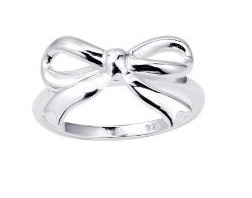 Bow rings - Oh So Girly! 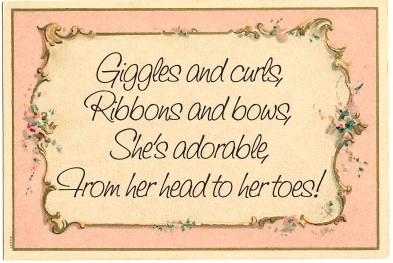 Whenever I think of ribbons and bows I think of either 50s fashion, big poodle skirts, girls wearing ribbons in their hair or elegant prom-light dresses with sashes that give the illusion that you’re all wrapped up like a pretty present. 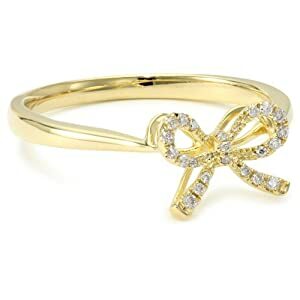 I really like the dash of cuteness ribbons and bows add to an outfit, so when I saw that bow jewelry was in existence too, I became an immediate fan. 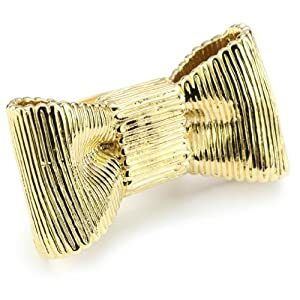 One of my favorite pieces of bow jewelry are bow rings, particularly those that pretend to be made of pliable material but are in fact eternally tied bows of silver or gold. 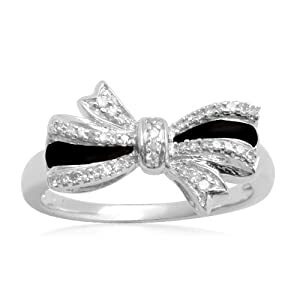 Here are some examples of the kind of bow rings you can get on Amazon.com, which you can use to add a shiny sprinkle of girly cuteness to your outfit. 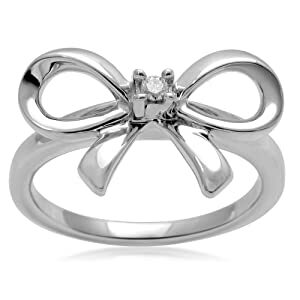 The silver bow rings are a good option because they’re cute and reasonably priced at around the $30 mark. 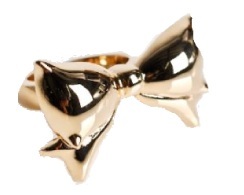 Gold bow rings can be pricier than the silver ones, but if you can afford it, they’re really pretty! 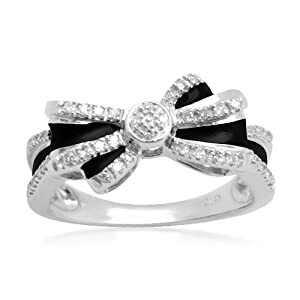 I think these black bow rings with diamond decorations are a perfect mix between cute girly and grown-up and elegant. The black enamel gives a stylish finish and the diamonds also lend a more distinguished, classy feel. Considering they have real diamonds, at a price of around $60 these are quite affordable! 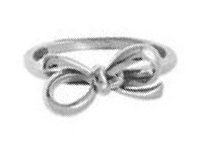 – What to wear with bow rings?